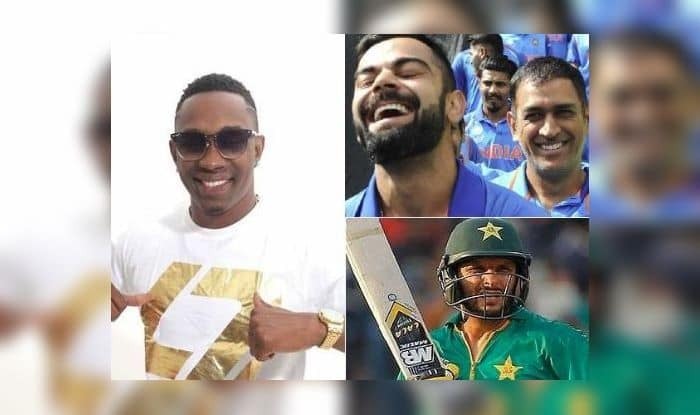 Former Windies cricketer Dwayne Bravo's latest song featuring Asia and Asian players is a treat for fans. Former Windies cricketer Dwayne Bravo’s latest song featuring Asia and Asian players is a treat for fans. Bravo seems to have put in a lot of thought when it came to showcasing legends like Kumar Sangakkara and Shahid Afridi and Indian stars like Virat Kohli and MS Dhoni. Bravo had earlier launched the popular track ‘champion’ which became an instant hit among fans worldwide and by the looks of this, it seems it has the makings of becoming equally popular. It is no secret that Bravo is is excessively talented, he can sing, he can dance, he can play the odd prank, a complete entertainer. The Windies cricketer announced his retirement from international cricket in October last year after featuring in 40 Test matches and 164 ODI for Windies. He amassed 2200 and 2968 runs respectively in the two formats while also scalping 86 and 199 wickets in respective formats. He also played 66 T20Is for Windies and amassed 1142 runs in the shortest format of the game and also picked up 55 wickets. Bravo will soon be seen in Indian shores when he joins the Chennai Super Kings franchise for the upcoming season of the Indian Premier League. CSK would be defending the title they won last year where Bravo played an integral part with the bat and the ball. The Men in Blue are currently locking horns with New Zealand and MS Dhoni is a part of the side. Kohli is not unavailable as he has been rested owing to excessive cricket in the recent past.